Midhun Mannuel Thomas, the young script writer has strike gold for his interesting work with 'Oom Shanthi Oshanna' while the movie is still running in theatres with positive responses from the audience. 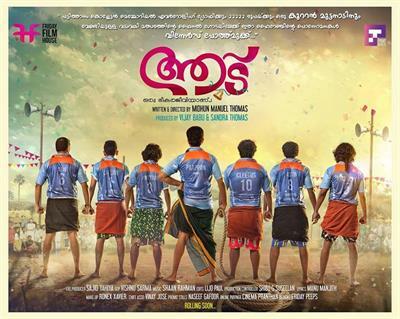 Now the youngster is taking a foot forward announcing his first movie 'Aadu', his directorial debut. Scripted by Midhun himself, 'Aadu' will be a clean entertainer which could keep the audience intact. The movie having the tagline 'Aadu oru Bheekara Jeeviyaanu' would explore the fun and danger that await a group of friends while on a trip. It is all about the self discovery and also pooling into the other shade of friendship which is being baked with humour. Much interestingly, the movie indirectly raises some social and political questions which is much relevant in the current scenario. The interesting incidents which happen on the way will explore the fun elements in the movie. Midhun will intake some of the crew who worked with him for 'Om Shanthi Oshanna'. The preproduction works of the movie has already begun and would roll along with big budget project 'Peruchazhi' which is also being produced by Friday Films. Can Midhun's pinky, the goat prove to be dangerous? With more young hearts entering the film industry, it would be a testing time for them to prove their skill on or behind the screen. The shooting will commence soon and would reach theatres in the second half of 2014. So let us wish good luck to Midhun and his team.